Thinking of adding a wine cooler into your home? Do you want to convert a storage area or a larger room into a cellar? The logistics for the project depend on the size of wine cooler that you need. Is it a room that needs to be climate controlled? One that holds more than 1000 bottles? These are questions to ponder before you decide on adding a wine cooler or wine storage into your home. 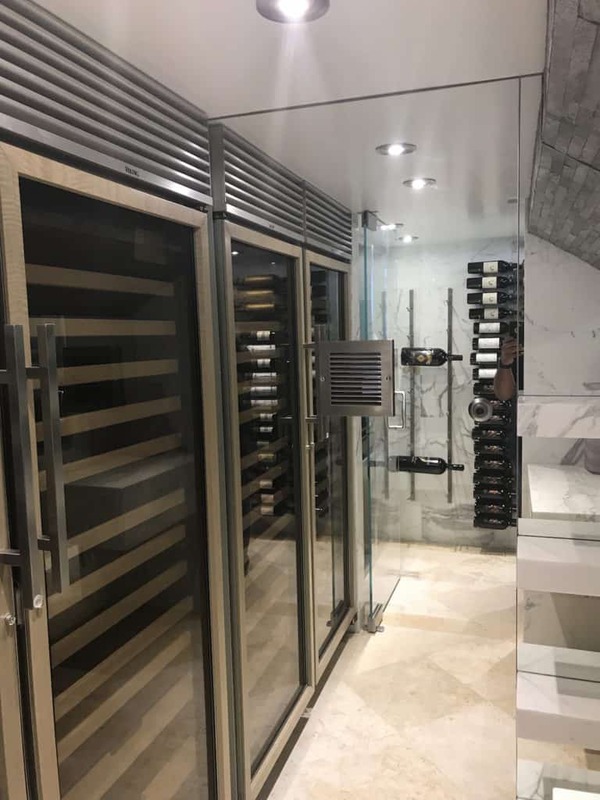 At Futures Building Company, we have been building homes for many years which have included some sort of wine storage or traditional wine rooms. In the last few years though, there has been an increase in requests for more modern wine rooms. By now and with a few projects under our belt, we are becoming the experts in town. If you want to display a few bottles on a wall that will require a simple wall mounted rack, any “DIYer” can accomplish that. Once you go over a certain number of bottles, that’s when it’s time to call the professionals; Being an interior designer, a general contractor or an architect (For Very Large projects). It is best to seek help so your project turns out how you envision it. The picture after shows one of our last projects, which involved building up the wine room to hold racks of bottles for storage as well as coolers. The pictures also show a contrast between the traditional rooms and a more modern storage area. 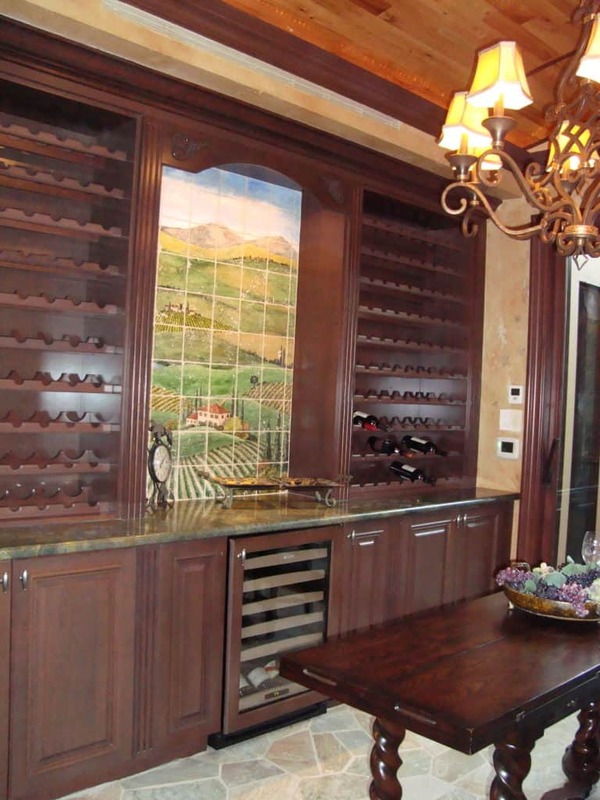 Adding a wine room to your home will cost more than just adding an additional room. There are additional expenses in materials needed to insulate the room properly in order to maintain the required temperature for certain wines as well as the proper storage and racking system. You will also need a dedicated air conditioning system for the unit and depending on the location of the new wine room, it will also dictate how much additional funds are needed to run additional ducts and such. Do you ever wonder why wine bottles are of a light green hue for white wines and a dark tint for red wines? 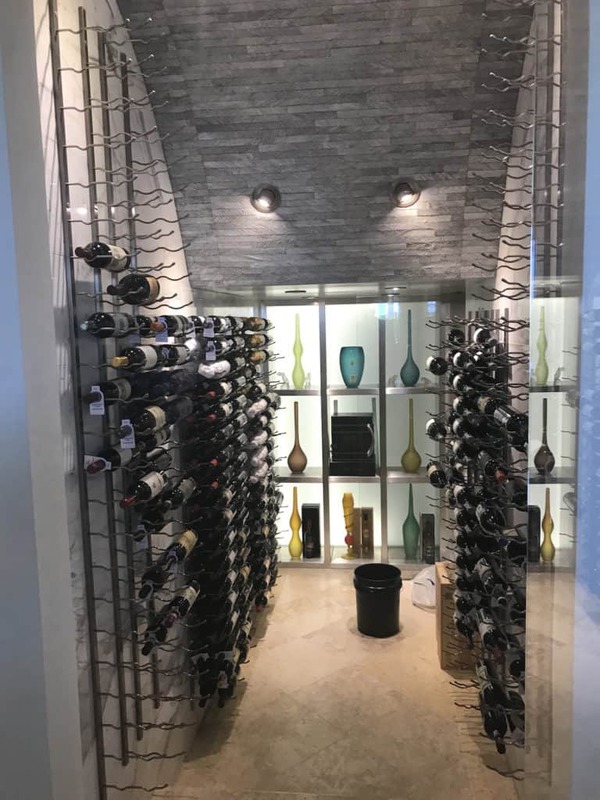 When it comes to protection, if the cellar or wine room is enclosed in a cave or basement, the light issues can be managed but when the room is in an open area close to a kitchen or living room with a lot of natural light and artificial lighting around, the only way of avoiding UV damage is by adding UV Protection to the glass encasing the room. 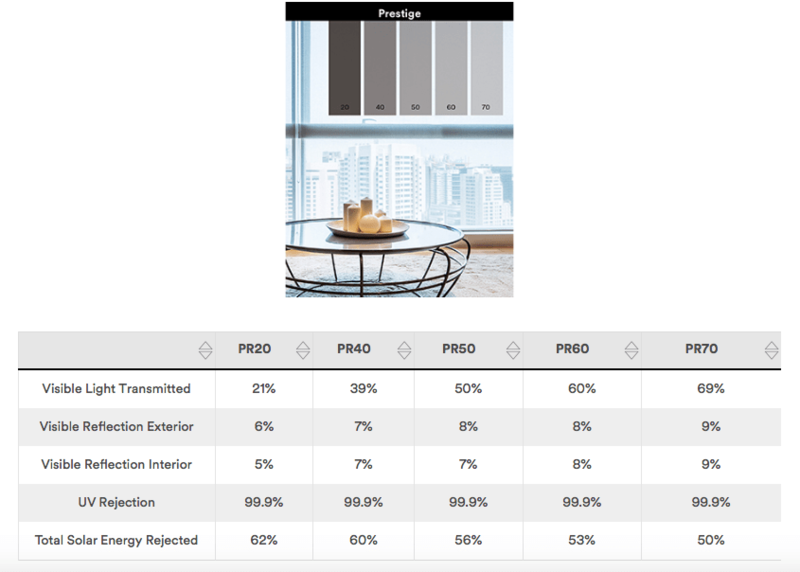 has great information on different types of film that offer UV protection. Building up or modifying an existing area for wine storage is probably the easiest part for a builder. 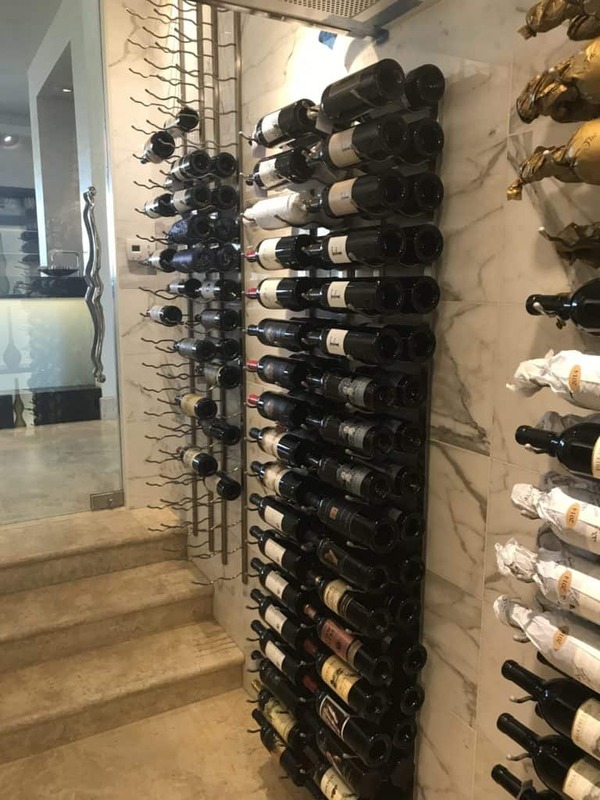 Getting it to look the way you envision it is probably the biggest challenge to your wine room project; Do you want the walls with tile? stacked stone? wood? Maybe just a wall finished with smooth white walls? What about lighting? A small chandelier in center of room gives it a dramatic effect. Perhaps rope lighting in back of shelves to shine bottles from behind? How about the actual wine display. Traditionally, wine rooms and or storage, have been made with wood cabinetry where bottles are stacked in diamond shaped bins. Nowadays, the look is for more modern displays involving glass and metal. A wine room with stone flooring and marble on walls. The options are endless and there are many resources on the web that can pinpoint you in the right direction. A good interior designer can also help you in putting together an award wining Wine Room. 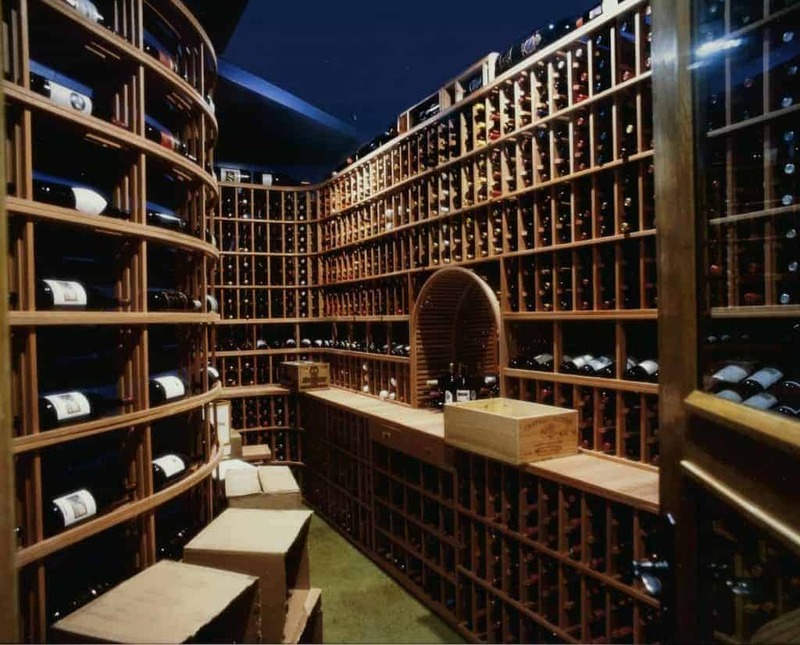 So when you decide to add your dream wine room or just a wine closet, give us a call. We are here to help you build it. These are some of the most used systems in Wine Rooms. 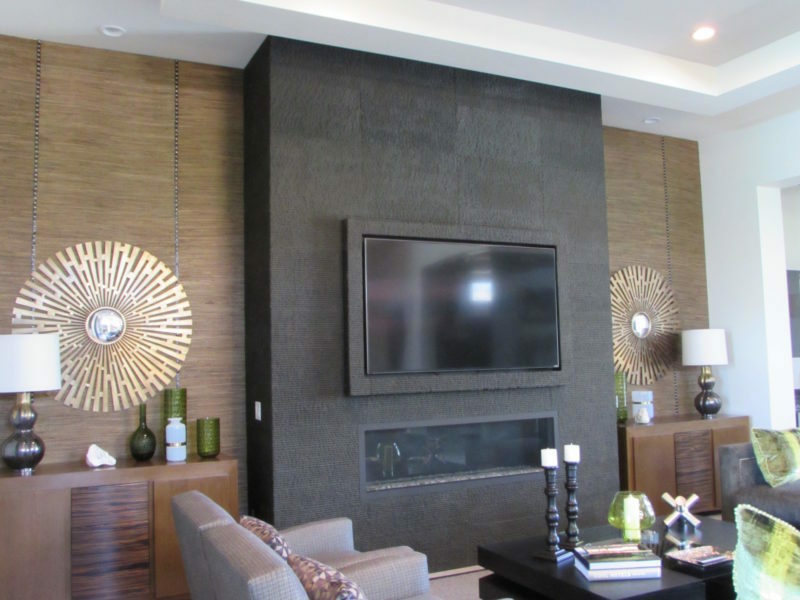 When it comes to storage, the layouts, combinations and options of finishes give you many options; such as Metal, wood, acrylic, stainless steel, and chrome. These can enhance the look of your room dramatically.